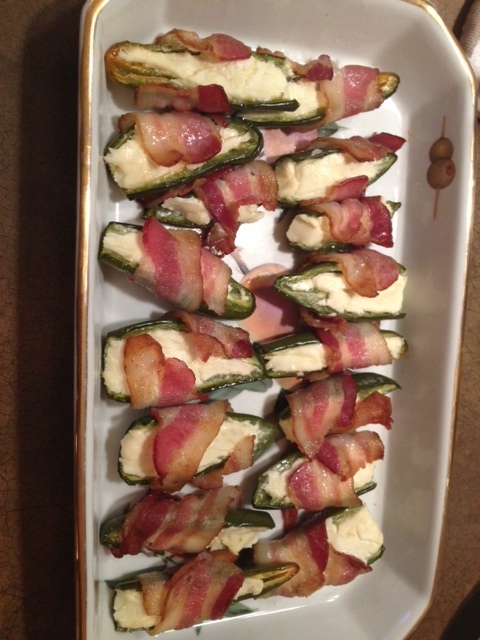 Bacon Wrapped Jalapeños With Cream Cheese. 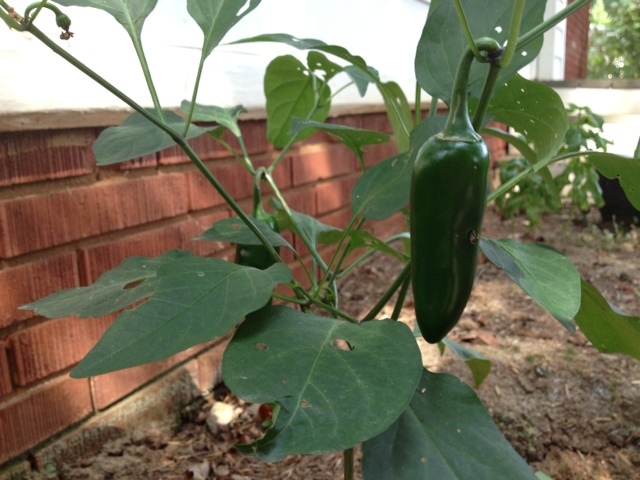 When we moved into our new house in Charlotte, we discovered a little jalapeño plant in our back garden. 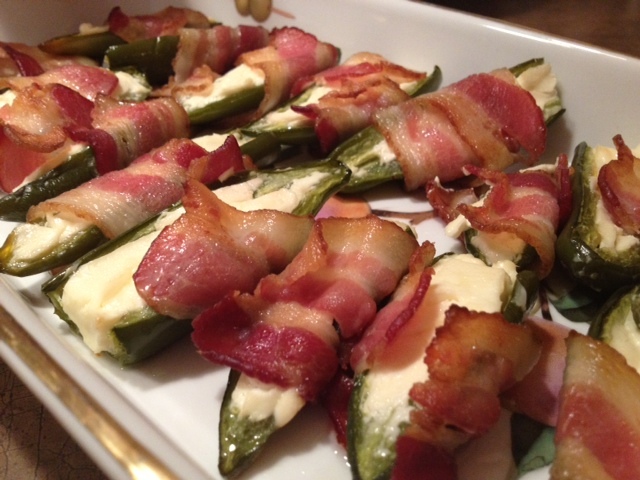 We put them to good use and made these delicious, spicy treats for a dinner party we had. These are definitely only for those who like spicy food – they are hot, hot, hot and super yummy! Cut the tops off of the jalapeños and then cut them in half length-wise. Carefully remove the seeds and membrane from the inside of the jalapeños (I recommend using rubber gloves). Make sure to wash your hands thoroughly after any time you touch the peppers. 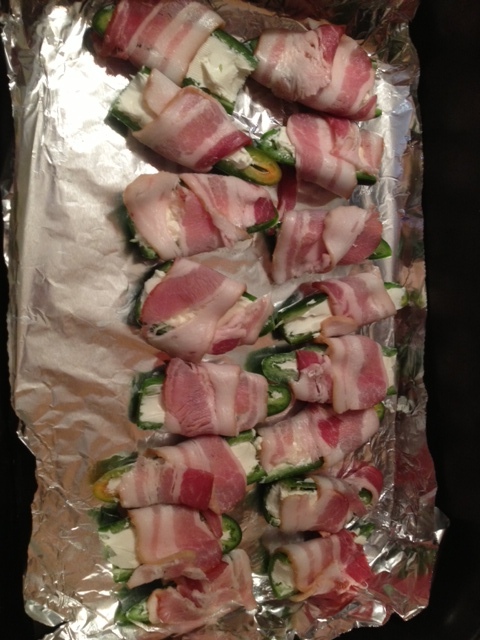 Fill the hollow center of the jalapeños with 1-2 tbsp of cream cheese and then wrap each piece with half a piece of bacon. You can secure with a toothpick if you’d like. Bake in a 375 degree oven for 30-40 minutes, or until the bacon is fully cooked and crispy.